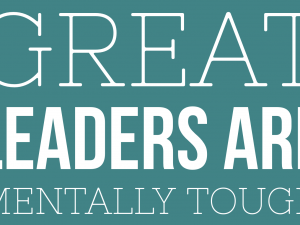 How does a great leader become a great leader? 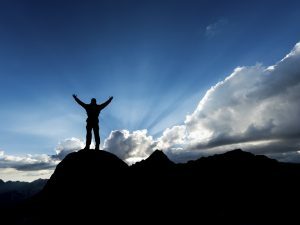 How does an entrepreneur go from being great at what he/she does to being great at managing the operations of a company? Transitioning from one state to another involves being a true learner. 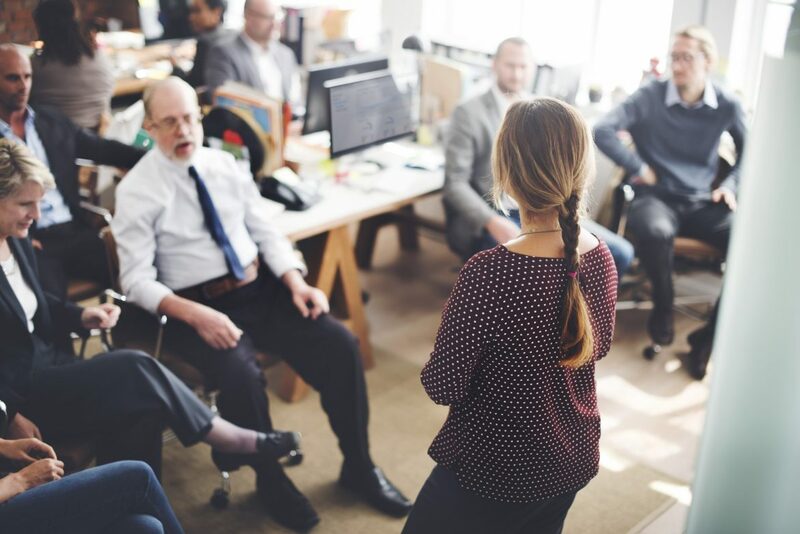 When you embrace being a true learner, you make a commitment to grow, develop and evolve yourself to close the Performance Gap between the leader you are now to the leader you want to become. The Performance Gap is the space between the leader you are now, and the leader you want to be. 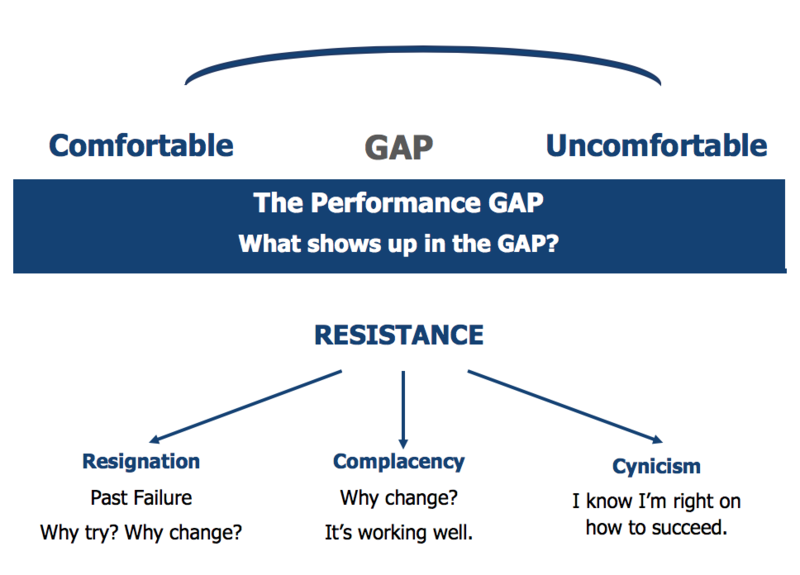 Within the Performance Gap there is Resistance that shows up as Resignation, Complacency and Cynicism. 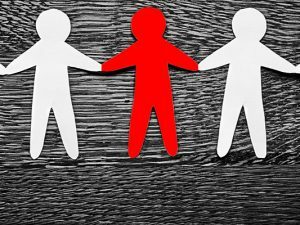 All 3 dimensions of resistance cause leaders to get stuck and frustrated. When a leader goes into “resistance mode” their mindset becomes narrow and their focus is on “what’s wrong”, “nothing works”, “it’s hopeless”, versus being open-minded and creating momentum through new possibilities and taking action, and asking themselves and others, “what if” or “how can we?, which encourages different perspectives and new ways of thinking. When you make the commitment to become a learner, you also make a commitment to embrace the “Performance Gap”. When you embrace learning you are going to encounter moving from being comfortable to being uncomfortable. While this is often quite challenging, it is also the most beneficial growth. 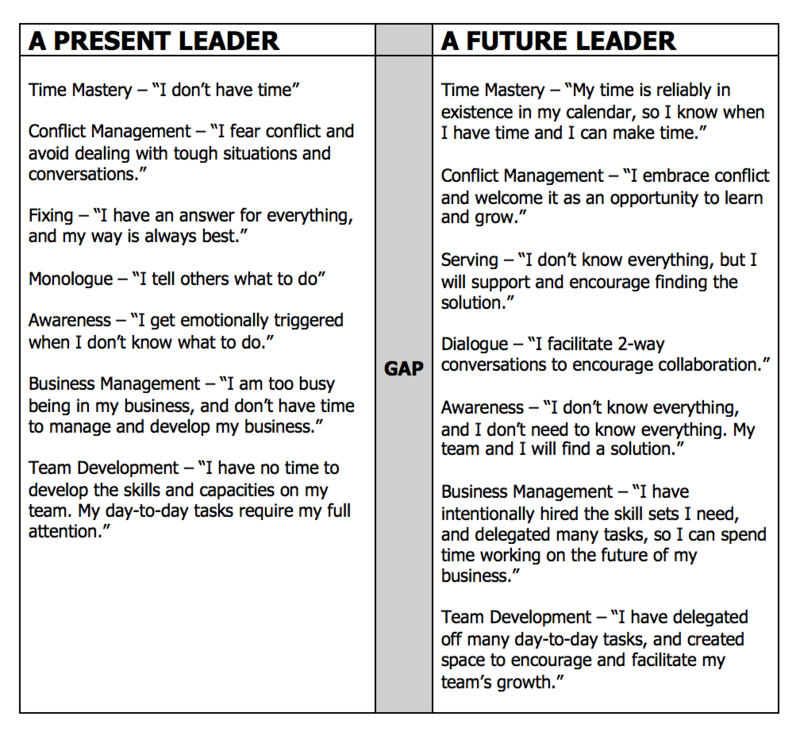 The mindset and language of a present leader versus a future leader. Review situations where you or your team has shown resistance to ideas or change, and discuss what could possibly happen if the resistance was removed. 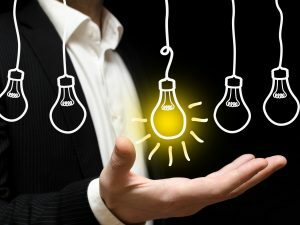 How Effective Is Your Innovation Strategy?